Belthangady, Oct 21, 2018: A baby girl was born in a 108 ambulance here on October 20, Saturday, morning. The woman, Vinutha Veigas, a resident of Punjalkatte in Maladi gram panchayat was en route to a private hospital in Mangaluru when her labour pains intensified. Realising the gravity of the situation, Dennis, a paramedic staff in the ambulance decided to deliver the baby in the ambulance itself and moments later Vinutha gave birth to a healthy baby girl. 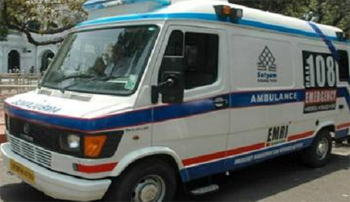 The mother and the baby were later admitted to the Bantwal government hospital for post-delivery care.